Never bump threads. Per rule 16, updates may be posted once every 2 months. Violating these rules may led to thread deletion. Hello! I am a UI & logo designer, and have been creating UI & logo designs for visual novels for the last 3 years. If you'd like to see more samples of my work, you can find them at sasquatchii.com. If you'd like me to create an estimate or a quote for your project let me know! To get in touch, you can message me on here, email me at laurahendersoncreative@live.com, or DM me on twitter (@sasquatchiix)! Looking forward to hearing from you. Last edited by sasquatchii on Sat Apr 20, 2019 1:37 pm, edited 32 times in total. Just finished a commission for Dreams of Desire (an adult/eroge themed game)! *Click on the image and then click again to see a larger, more detailed version! Here's a UI Kit I created for a project I'm currently working on. I do this with each UI I make, and it's an easy way to give others an idea of what the entire aesthetic might be like before we invest a lot of time actually designing screens. I love your GUI designs so much, I hope one day I can get a project that would let me commission you! Become a patron on my Patreon! 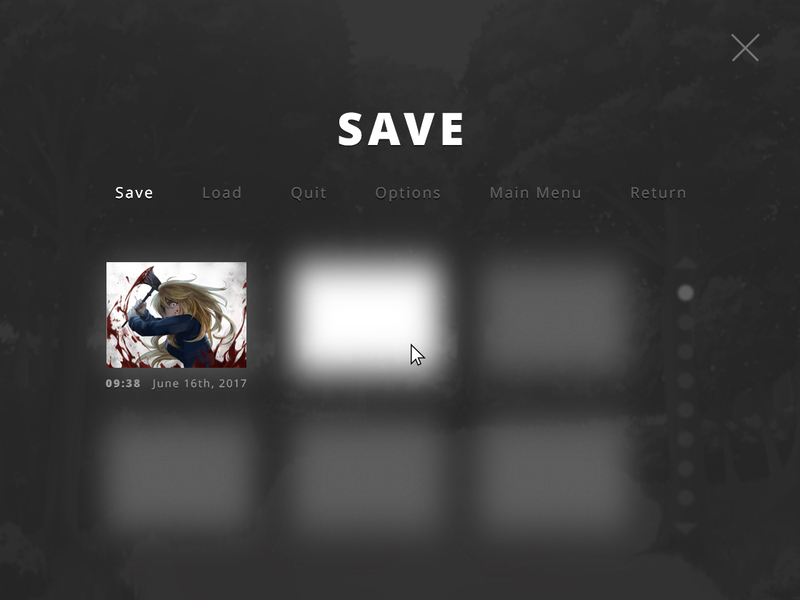 Ghost of Crux wrote: I love your GUI designs so much, I hope one day I can get a project that would let me commission you! 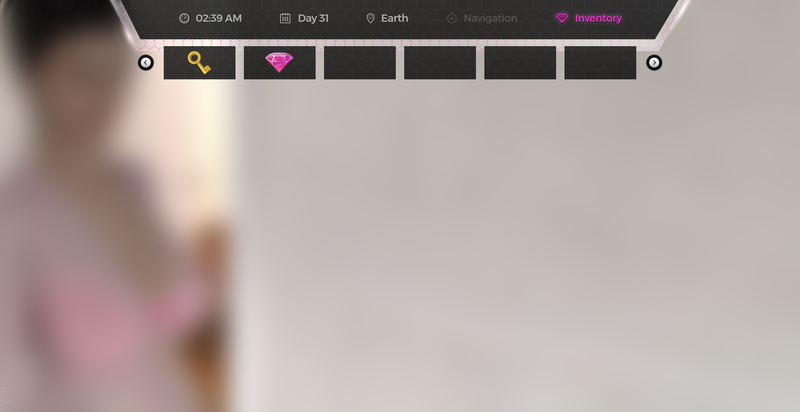 I also LOVED To Weave a Thread's UI - it was unique & inspiring! Hello, I'm back, and I am still open for commissions! 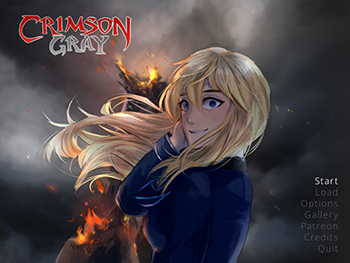 I recently finished the UI design for Crimson Gray, a visual novel about a boy & a girl that struggle with mental health issues. 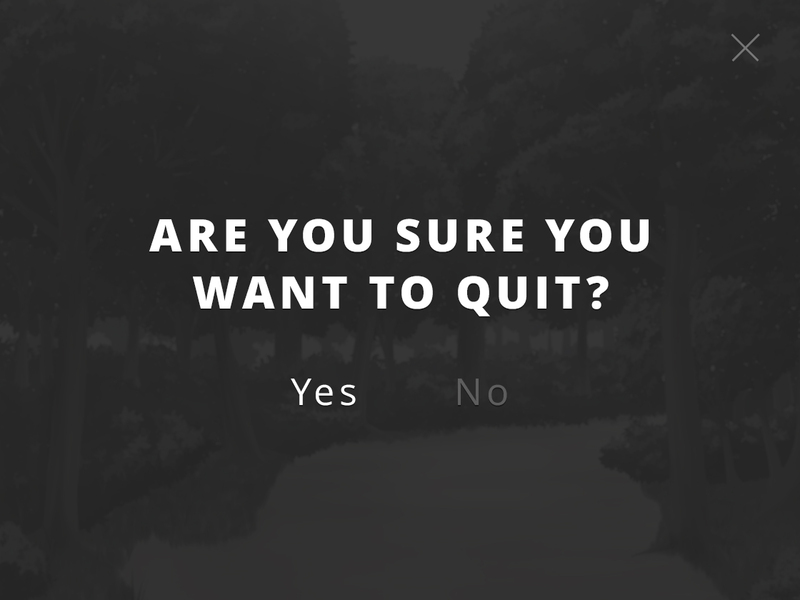 *Click on any of these images to see the full size version. Completed: Army of Tentacles 1 & 2, Paper Shakespeare: To Date or Not To Date? Your stuff is fantastic. I ditto the above user. Bryy wrote: Your stuff is fantastic. I ditto the above user. I am still available for commission! Here is a UI that I recently made, which is a tiny pixel UI freebie pre-coded into Ren'Py! I created this because I wanted to experiment with pixel art, and also wanted to see if I could create a UI set based completely on paper/parchment theme. You can download it for free on itch.io. Completed: The Heart of Tales, [redacted] Life, Must Love Jaws, A Tune at the End of the World, Three Guys That Paint, The Journey of Ignorance, Portal 2.5. Thank you so much for sharing this UI script! This looks so cool! 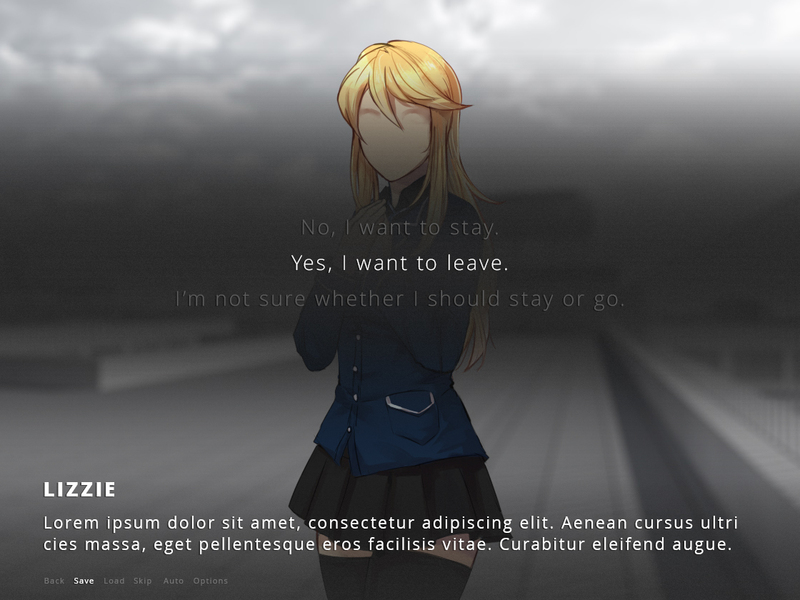 My Website, which lists my visual novels. Thank you so much, Katy133!! I had a lot of fun creating it and hope it is helpful to VN devs who might want to use it. Sasquatchii has been such a delight to work with! I’m so pleased with how my game’s UI turned out. Prompt, very thorough, and considerate of every detail in your game, I highly recommend commissioning her for your project!